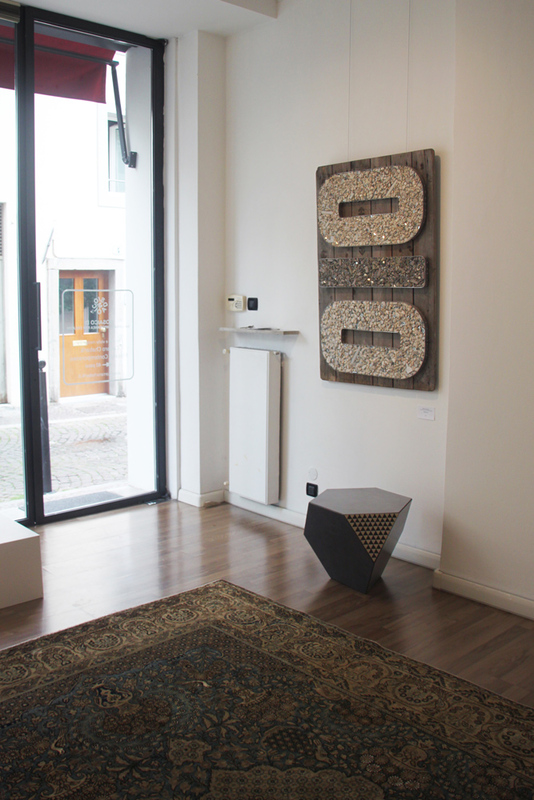 April at Mosaico Di gallery: natural materials are the main theme of this month exhibition. 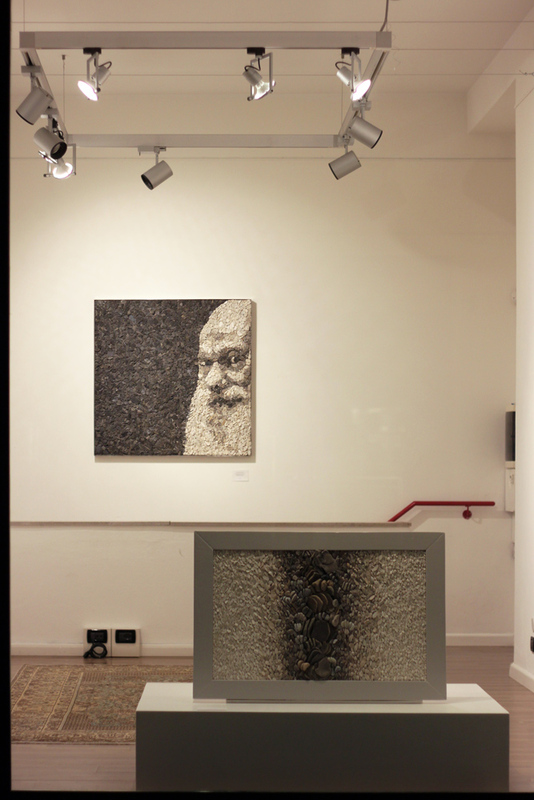 Works by Mohamed Chabarik, Laura Carraro, Beatrice Belcaro. 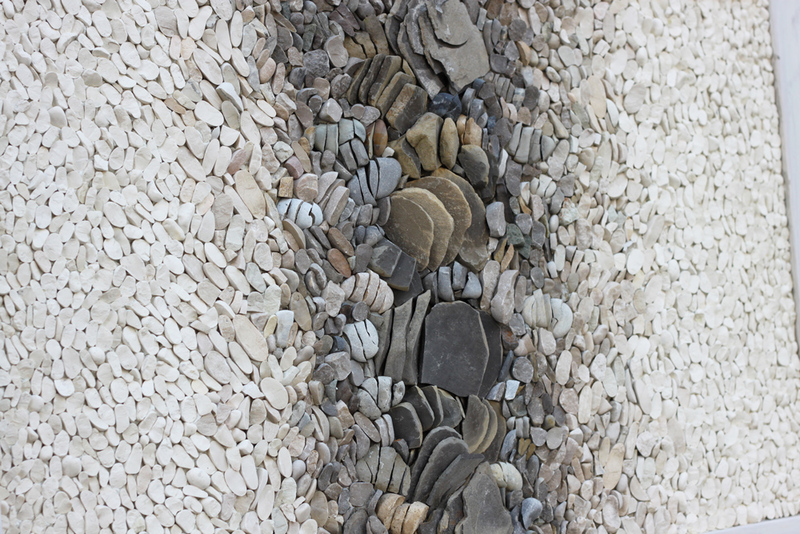 Stones are a metaphor, with deep meaning. In fact, to become what it is, achieve its ultimate shape, a stone has followed a millenary historical path. Stones carry with them the history of the world. Mohamed Chabarik, “Personaggi da terra. Tiziano Terzani”, 2010, 100×100 cm. Laura Carraro, “Ridestare”, 2018, 90×60 cm ca. Beatrice Belcaro, “Mana 010”, opera realizzata in collaborazione con Mohamed Chabarik. 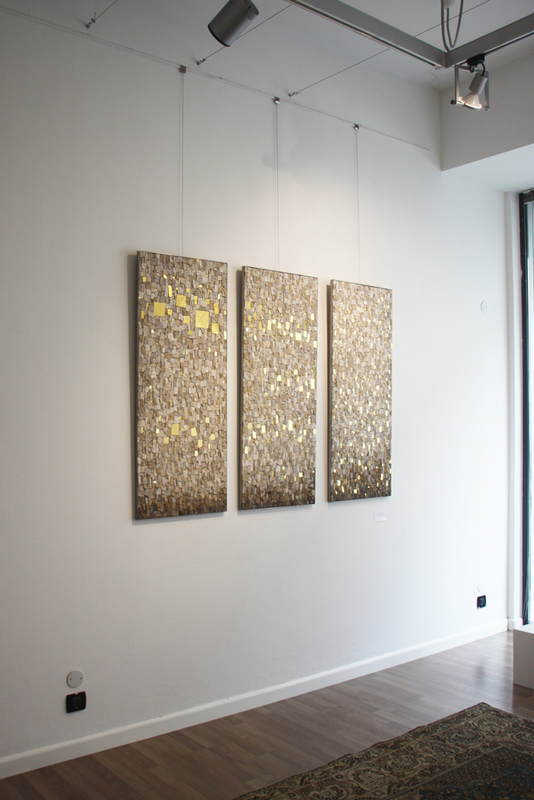 2015, 60×120 cm ca. A terra, “Poliedro” tavolino-seduta, design e realizzazione di Mohamed Chabarik. Kum, tappeto persiano antico, di Jacaranda Udine. Mohamed Chabarik, “Passato, presente, futuro”. 2012, 50×120 per ogni pannello. 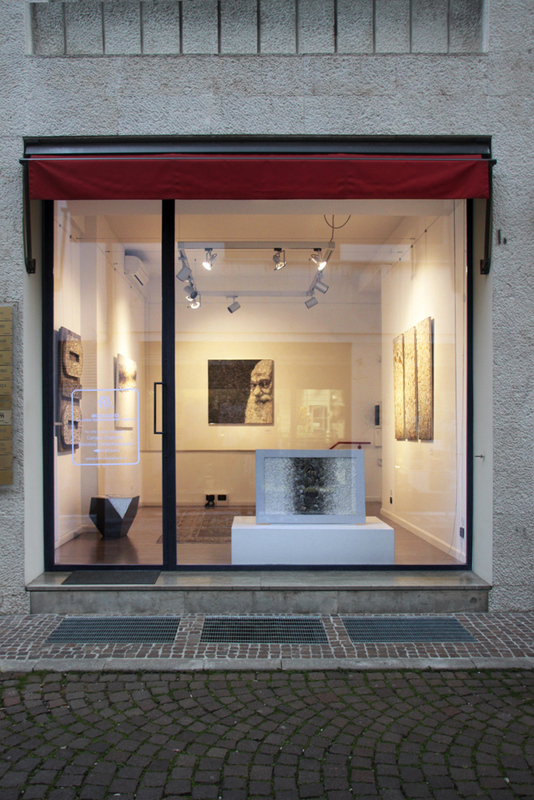 Galleria Mosaico Di, via Ginnasio Vecchio 3, Udine.